Alexandra Bee Blog: Mother's Day & A Winner! This Sunday is Mother's Day. Unfortunately, due to finals, I will not be able to spend the day with my mom. Next Sunday, however, is her birthday so we will have a joint Mother's Day-Birthday celebration then! In honor of mother's day, though, I thought it would be appropriate to share one of my mom and I's favorite books with you: Love You Forever by Robert Munsch. Mommy and Allie reading together. 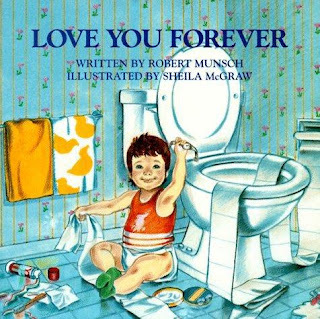 If you visit Robert Munsch's website you can hear him reading this story (here) as well as many others. Here is a YouTube video of Munsch reading it. What are you doing for Mother's Day? Do you have any favorites that were read to you frequently by your mother? In other news...last night I took a midnight study break to calculate the winner of the dahl house giveaway! A few of you forgot to leave separate comments, so I listed out everyone's entries to be sure all were accounted for. There were 119 entries total! I then used random.org to calculate a winner. The winning entry was #90: sSe at Seersuckered Sailor! Congratulations sSe and thanks to everyone who entered! of Holiday with Matthew Mead. Love that book! Your Mom is lucky to have a double celebration next weekend. OMG this was my favorite book growing up!!! I'm so glad you blogged a/b this....it touched my heart and brought back so many memories. My mom and I LOVED this book when I was little. Aw, so many memories! I love that book! My mom and I read that together all of the time! Good luck with the rest of your work this weekend! I hope you find a little time to take a study break! Sweet post. Looks like a great book!!! What a sweet post! I'm not going to be able to see my mom this weekend either, but I'm making dinner for my MIL, so that's close enough! I have always loved that book. I makes me cry, though! BTW, good luck with finals! Oh, and Congrats to Seersucker Sailor! 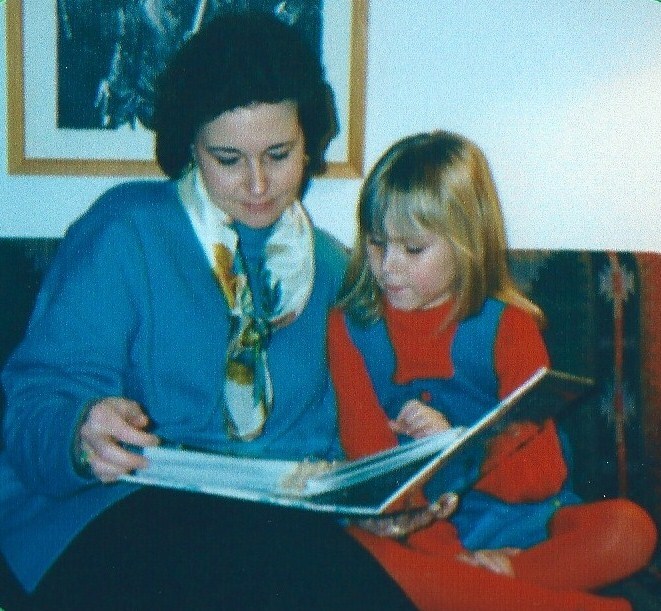 I used to LOVE reading that book with mom (still do!) Great choice. I LOVE that book! I read it to my class sometimes and they love it too! Such a great choice! That book really has just the sweetest message...I'd forgotten all about it...I'm going to have to find a copy and share it with my two little ones (c: Hope you are positively *killing* it with those finals, my dear! Happy Weekend and Mother's Day! We have that book, and I cannot make it to the end without crying. Good luck on your finals. Congrats to the winner and I hope you do well on your finals!! Oh my goodness I forgot about this book, but when I seen the cover it came back to me instantly. I loved this book as a child, thank you for reminding me of it. I'll have to track down a copy for Mother's Day. Aww! I love this picture. I'm sorry you don't get to be with your mommy but soon enough! I'm home for the weekend since I leave so soon. My mom and I did a lot of shopping and tomorrow my brother and I are making her a yummy breakfast! Good luck with finals! Love You Forever is such a sweet book! Hearing it almost brings tears to my eyes. For Christmas my boyfriend have his mom a copy or the book as well a a quote out of it framed and a picture of the below. Such a special book! i loved this book too! It's so special:) Hope you had a great mothers day with your momma! One of my favorite books. I tear up everytime I read it to my daughters. Thank your for stopping by my blog and your sweet comments. Have a great day!